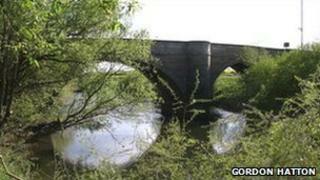 A 230-year-old bridge in North Yorkshire is to remain closed until the new year after adverse weather hampered restoration work. Renovation of the bridge, which carries the A61 over the River Swale at Skipton, was initially due to be completed on 5 December. That date was revised after the bridge's structure was found to be in a worse state than first thought. Recent adverse weather means the bridge will now be closed another five weeks. North Yorkshire County Council said heavy rain, snowfall and low temperatures had impacted on work. Councillor Neville Huxtable said: "None of us wants to see the work extended a minute longer that absolutely necessary, but the council's contractors have been working in extremely difficult and testing conditions on this job." The council said extra staff had been deployed and they would be working over Christmas and the new year to recover lost time. Engineers from the county council have consulted English Heritage while planning the restoration. The work involves the removal and replacement of extensive sections of heavily-weathered masonry. Kim Jong-un said peace on the Korean peninsula would depend entirely on Washington's future attitude.